It is my favorite week on the blog!! It is my recap of all my favorite photos from 2018! We are going to kickstart the week with our amazing 2019 graduating class! It was a really great year! We photographed SO many amazing seniors all over the state of Montana! 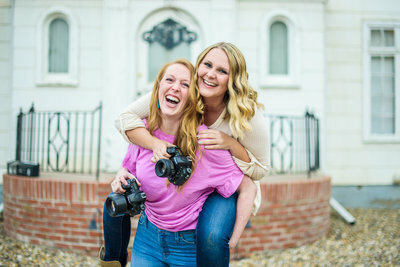 It was really fun this year because both Holly and myself (Mary) were photographing seniors! We had multiple days throughout the summer where both of us were photographing seniors on the same day – super cool! Holly did most of the work + she traveled a ton!! From Kalispell all the way to Fort Peck – that girl was busy with seniors!! Before I get to the photos I need to give a special thanks to our styling team. They work so hard to make their portion of the experience amazing + they deserve a little attention. Cesilee with Brown Eyed Girl was a rockstar this year. Hosting all our senior girls in her home during a crazy remodel – ROCKSTAR! She always is making sure they leave her house looking and feeling like a million bucks. Cesliee is truly one of a kind + I highly recommend her to anyone who may need professional makeup done in the area. I also wanted to shout out to Jenna and her amazing team at The Key Boutique!! These ladies work so hard to give every girl a unique experience. We bring a lot of girls into her shop in one week and every girl feels like they are a queen. Jenna and her team take so much time prepping for each session to ensure our girl feels amazing! I am so glad to have The Key in Havre + think SO highly of these girls! Now onto this HUGE blog post of amazing seniors!!! Hey Juniors!! Did you LOVE these senior pictures?! We are currently scheduling JUNE – AUGUST SENIOR SESSIONS for the Class of 2020! Click HERE to inquire! Or how about apply to our Dream Team 2020?! Click HERE!